Living in the aftermath of the Event means that seeing the dead is now a part of life, but Veronica wishes that the ghosts would just move on. Instead, the ghosts aren’t disappearing—they’re gaining power. When Veronica and her friend, Kirk, decide to investigate why, they stumble upon a more sinister plot than they ever could have imagined. One of Veronica’s high school teachers is crippled by the fact that his dead daughter has never returned as a ghost, and he’s haunted by the possibility that she’s waiting to reappear within a fresh body. Veronica seems like the perfect host. And even if he’s wrong, what’s the harm in creating one more ghost? From critically acclaimed Generation Dead author Daniel Waters, comes a delectably creepy and suspenseful thriller. Break My Heart 1,000 Times will leave readers with the chills. Or is that a ghost reading over the page? Extra Mention! I thought I'd calm your quaking nerves with a fun and interesting story, also about ghosts, but on the more bright side of these paranormal creatures! While I'm not anticipating the release of this novel as much as Break My Heart 1,000 Times (which reminds me, isn't that title gorgeous? It just makes me more curious about the story! ), I'm still anticipating the enjoyment that this novel is sure to bring! When Charlotte comes to after being pushed onto the subway tracks, she is informed by a group of teenage girls that she is dead…they all are. 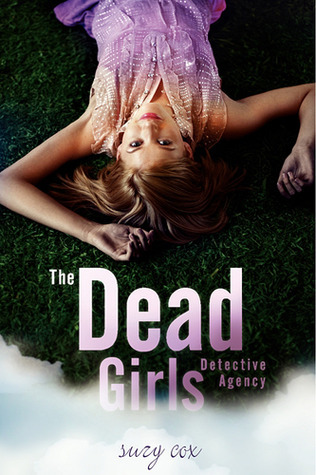 Meet the Dead Girls Detective Agency. With the support of these dynamic girls—including fashionable Lorna, who can’t wait to find out if the devil actually wears Prada, and nerdy Nancy, who insists on staying in limbo to help out other girls—Charlotte follows leads and tracks down clues to solve her own murder. With plenty of juicy mysteries and some pretty cute guys, readers are sure to fall in love with this fun and suspenseful page-turner! Fans of Meg Cabot, Sara Shepard, and Ally Carter will delight in this exciting new paperback original. Well, what are you waiting on this Wednesday? ;) While you're here, don't forget to stop by and enter my international giveaway for a chance to win a pre-ordered copy of a book of your choice! You can enter here. Good Luck! Wow, great choices - I've never heard of these books, but they both sound really good, especially Break My Heart 1,000 Times :D Adding them to my TBR list. I haven't heard of these books but the first one sounds pretty scary. I don't read as many ghost books but I should read some more, I always end up liking them. This is the first I've seen of Break My Heart a 1000 times. It sounds amazing. I'm nervous for Veronica because of her crazy sounding former high school teacher. Yes, so am I! I barely know her and I'm already worried about what this novel can bring, so I'm excited to read it. I haven't heard of either of these books. They look great. Both of those sound really awesome! Especially Break My Heart 1000 times!! I'm really looking forward to Break My Heart 1,000 Times too! Yay, I'm glad to hear it Kay! Hopefully some ARCs will be up soon - I can't wait! I'm particularly interested by the Daniel Water's novel. I've heard about some of his other works and desperately want to read them! Whilst I find myself more scared by reading a book, I tend to laugh at horror, unless it's suspense. That makes me jump. It's my imagination that runs wild with me. Thanks Olivia! :) I'm excited to read Daniel Water's novel as well although I haven't heard or read any of this other books. I'm excited to read some horror, especially as I don't read too much of it, so I hope it's good. Yes, I just saw it on Edelweiss! I've never been accepted for anything by them, but I'm keeping my fingers crossed for this one! Break My Heart 1,000 Times sounds fantastic and it's new to me! There is nothing I love more than a deliciously creepy ghost story! I mean it, the really good ones are rare, but every so often I discover a new one and I get insanely happy about it. I think this one seems very promising! The only thing I don't really like is the cover - it's too dystopian-looking. Break My Heart 1000 Times just sounds amazing! I have the first two books of the Generation Dead series waiting to be read, and I'm going to just add this one onto the list as well. I love how creepy it sounds! Thanks for stopping by my WOW :) I am a new follower!! 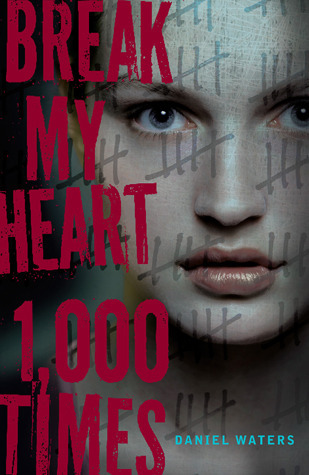 I have yet to be totally creeped out by a book, so I'm hoping that Break My Heart 1,000 Times will be the first to creep me out!! ;) I also like a good scary book, which I hope will be an aspect of that book. The Dead Girls Detective Agency sounds like a cute ghost story- it kind of reminds of The Catastrophic History of You and Me, which I really loved. I'll definitely be adding that one to my TBR! Things You Need To Know About Pure Hoodia Gordonii The rats that were injected with P57 ate less than the rats in the placebo group. Only buy from a company that clearly displays a CITES certificate on its website. Since this plant is not commonly found anywhere, its supply is limited. There are lots of people who are being indulged with delicious foods that are made available to us.